Great win and all, but after today, nobody is going to care about the Super Bowl. Not when somebody finally figured out how to reverse engineer sake. Introducing The Sake Bubble, a futuristic sake bomb that involves a jiggly, gel-like sphere of sake and a shot of beer, available now. First, a warning. 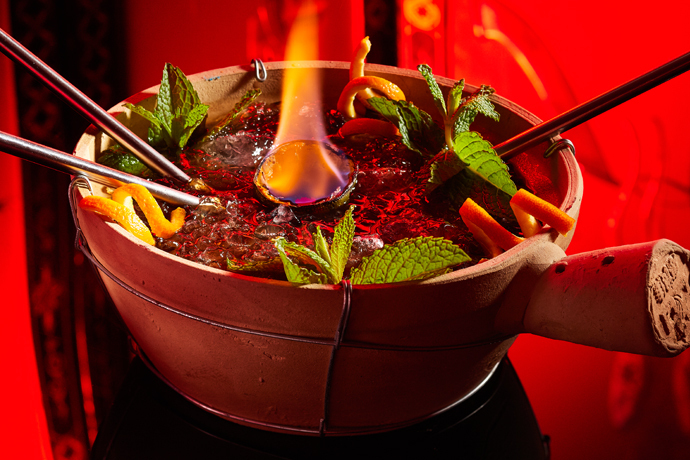 This won’t be like any sake bombing run you’ve partaken in before. There’s no table-banging, beer-splashing or high-wire chopstick-balancing act. This is more the kind of sake bomb you’d reserve for a sushi date with an unattached Middleton sister. 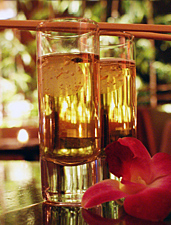 To begin, a bottle of Koi’s special house sake is put through a process known as reverse spherification. If you’re intimately familiar with the US space program, then you probably already know this mainly involves the use of calcium chloride and a sodium alginate bath. Blink twice if you’re still with us. Once the sake has formed into a mini membranous purse, it’ll be placed on a white porcelain soup spoon and delivered tableside along with an icy shooter of Asahi. Take the yolk-like sphere, delicately slip it into your beer and shoot it. Then bite down. That’s when the magic happens. Warning: magic is actually a sake explosion.